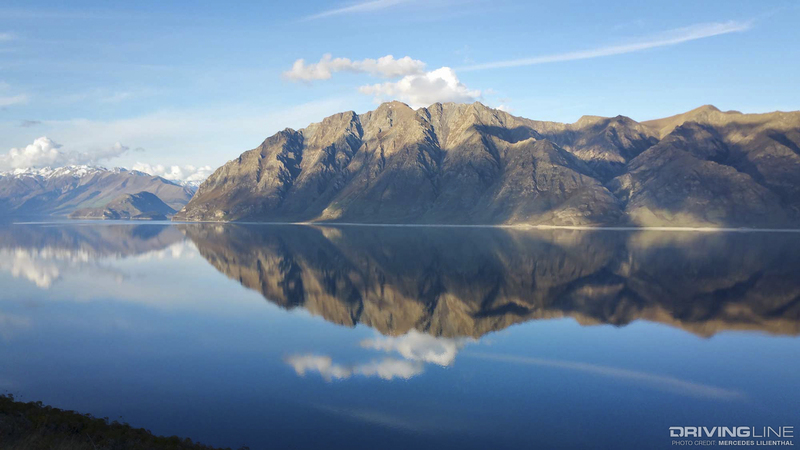 When you think of New Zealand, what comes to mind? Perhaps the Lord of the Rings movies? 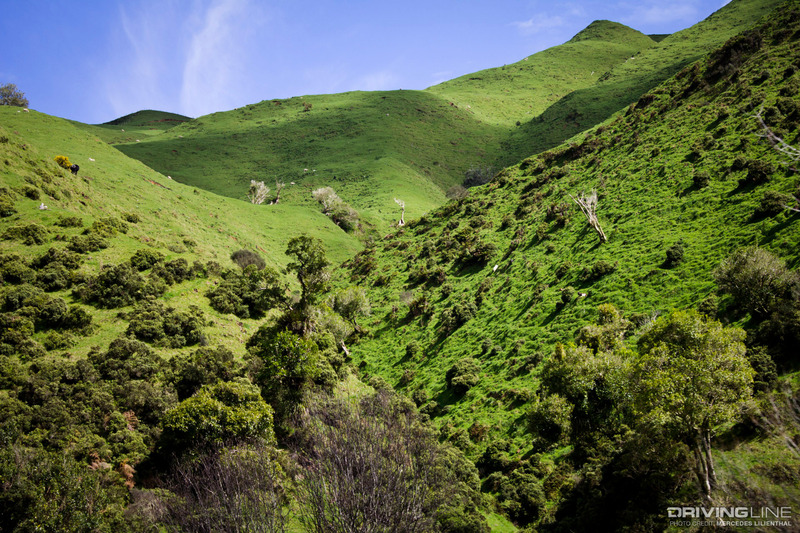 Maybe kiwi birds, bungee jumping in Queenstown or even the wondrous world of glow worms? Not for me. I think about New Zealand’s indigenous Maori people, the wonderful locals we met along the way or traversing almost tip to tail on both islands via campervan—I especially think about our travels with our campervan. It was an amazing trip, but was not without its learning curves. 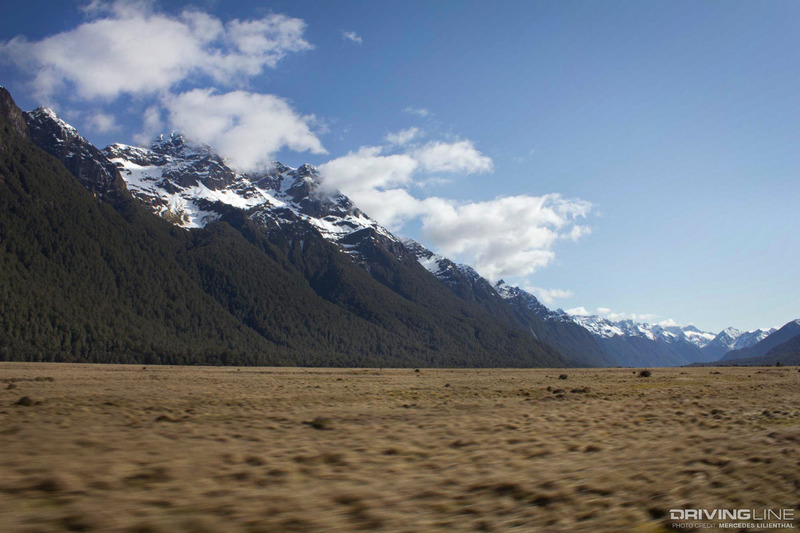 There was so much that we learned about not only driving a campervan in New Zealand, but driving one in general. My husband Andy and I flew to New Zealand to visit my cousin Helga and her husband Horst. We also wanted to see as much of the country as we could in our two-and-a-half week stay. We exhaustively researched New Zealand. When is the best time to visit? Where should we go? What mode of transportation should we use? We had so many questions and found a bunch of options. After much discussion, we rented a self-contained campervan. What’s a self-contained campervan? Well, a van that not only has a toilet, water and waste facilities but is also certified under New Zealand’s Self-Containment Standard. A certified self-contained campervan affords us the ability to legally freedom camp on public land. Vehicles that are not self-contained can only camp in designated places in New Zealand, in order to preserve its coveted natural environment. New Zealand is famous for tourists renting campervans. Yet, as New Zealand’s popularity exponentially grows, campervan folks would visit but left waste behind. In particular, they’d adorn the countryside with white florets of toilet paper “flowers” sticking up through the ground. People parked pretty much anywhere, would stay and play but left trash and bodily grossness behind. It was getting so bad New Zealand banned non self-contained vehicles in many places—especially its public land. We never figured out how to make the bed in the van, so we slept on it sideways, cramped up together. We didn’t know we had a solar panel on the van’s roof until we saw it during our ferry ride (luckily, it kept topping-off our batteries while we were parked). After visiting family, Andy and I flew from Auckland to Christchurch to get our rental: a self-contained Mercedes campervan. After a long delay at the rental place, along with them renting us a van with a partially flooded interior (a faulty pipe fitting had leaked everywhere), they fixed the van and hurriedly sent us on our way. Our first destination, after staying with a friend in Christchurch, was to head to the famed Milford Sound (via a small town called Garston). Before doing so, we found a great local website called Okay2stay. 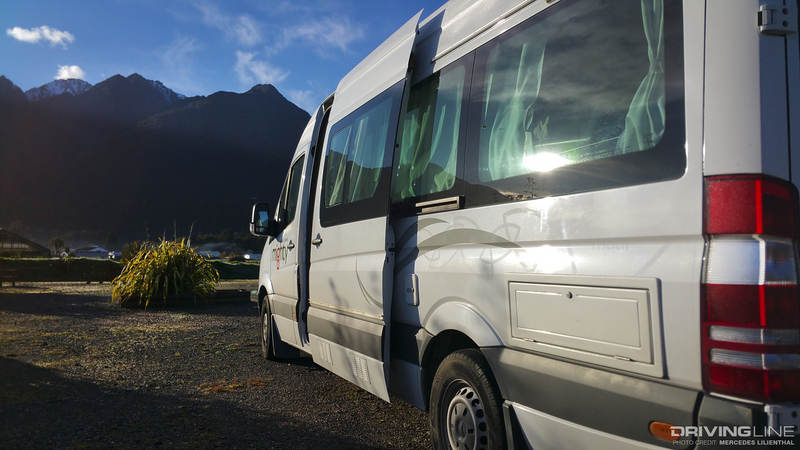 We paid $59 NZ for a year’s membership, and used it several times to find pre-screened places that hosted self-contained campervans for free. All they ask is that you purchase something from their store, restaurant, orchard, etc. as a thank you for them hosting you. We didn’t expect how similar the terrain from Christchurch through Garston (and beyond) was to the Pacific Northwest (where we live). Tall pine trees, rolling hills and lush greens contradicted infinite shades of brown as we traveled to Milford in our campervan. Rain spattered our right-hand-drive Mercedes Sprinter van as we drove. They are large and guzzle gas. 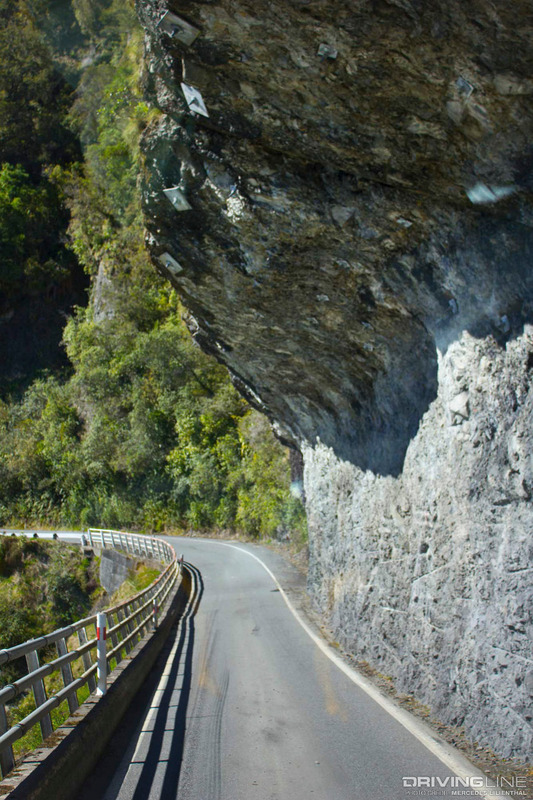 Add to that New Zealand’s roads, which are narrow, winding and mostly remote—don’t expect to get anywhere quickly. We learned to pad our travel plans time-wise. You’ll spend extra time in unexpected places. Drive times are exponentially longer than anticipated. 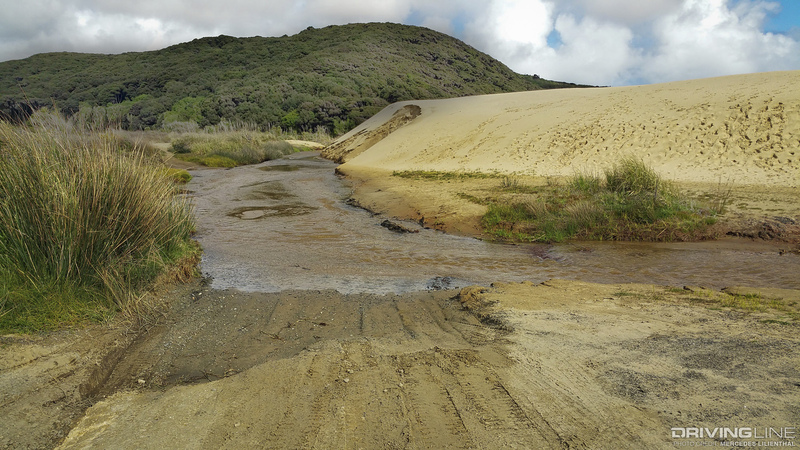 Watch for slips (landslides), cows, sheep and other slow traffic. 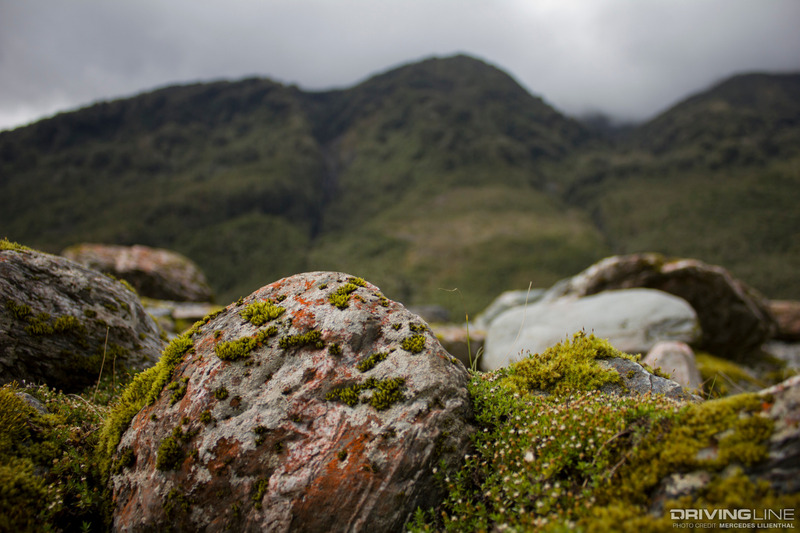 As we ventured closer to Milford Sound, the landscape dramatically blossomed. Tall hillsides were intertwined with road-side lakes and scenic viewpoints. Our first sighting of New Zealand’s alpine parrot, the Kea, was also had. We were warned about these pirate parrots. They’ll steal anything that’s not bolted down, and strip a vehicle clean. Little did we know those warnings were true. Within a few minutes Andy and I rushed out of a scenic overlook as Kea parrots started shredding weather stripping off our van’s roof! Another parrot climbed up a tour bus’ steps and started disassembling its interior, too. Make sure to read your insurance plans inside and out—I bet that Kea parrot damage would not be covered. 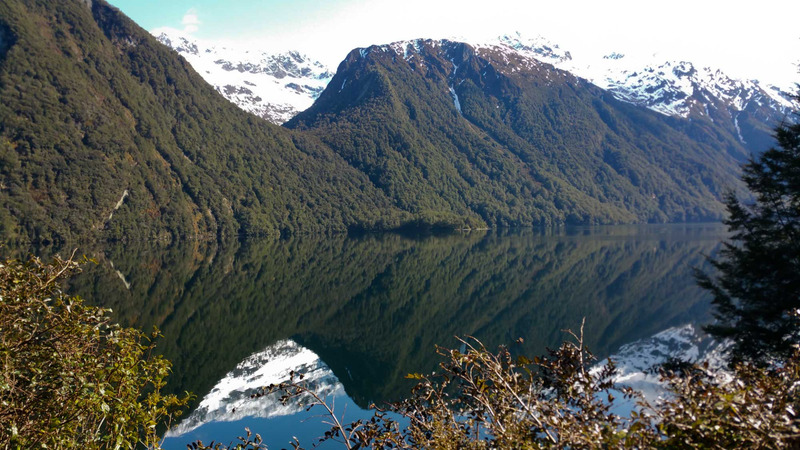 Be sure to enjoy Milford Sound if the weather is good, but it can change on a dime. Earlier that week they had a few slips along the major highway that connected it from the outside world. Not that long before, they had a snow storm which closed travel and stranded tourists and workers alike. Folks ended up being helicoptered out of the area, with rental cars and vans coming soon after, once the roadway was cleared. Day 5’s campsite was great. We used another website, called CamperMate, to find a beach-side area that boasted billions of large pebbles next to the ocean. We parked, cooked dinner, watched the sunset and slept well. Well, as good as you could without being able to figure out how to set up the bed correctly! At this point, we had nearly run out of potable (drinking) water. We were trying not stay at Holiday parks (as we wanted to freedom camp), but finding a place to purchase potable water fill-ups for a campervan was proving difficult. Actually, it was next to impossible. While New Zealand has ample dump stations, it took us several hours and a few chats with strangers to find a potable water fill-up spigot. It was dozens of kilometers away. If we wanted water, we would have had to pay for one night’s stay at a Holiday park, even if we weren’t staying there. We drove through the town of Murchison via Highway 6 (a rural country road) that dumped us into Richmond. We were told to “turn right,” “go this far,” “turn left” and you’re there. By golly, the woman was right! After over 100 kilometers, we found the spigot, grabbed our hose—but didn’t have the right adapter for it. Freezing cold water poured out as we took turns filling up our campervan’s tank with a mismatched hose. Day 7 afforded us an amazing experience. 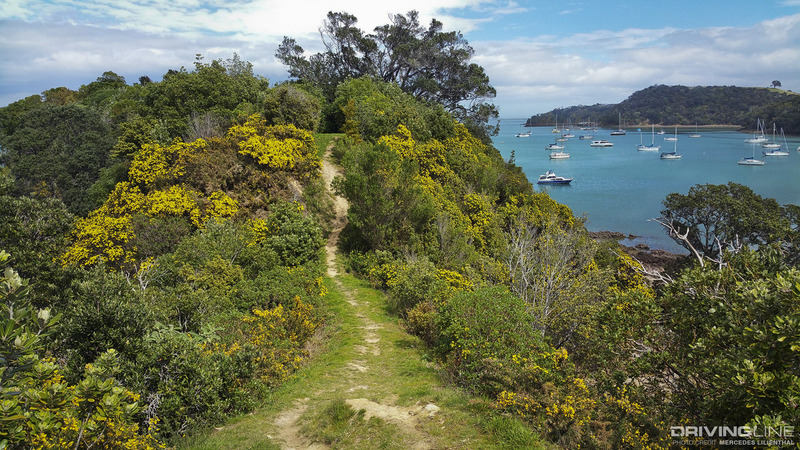 We backtracked over Takaka Hill and headed to Abel Tasman to go kayaking. If you like open waters, or sea-going adventures, you may want to pit stop here during your on-road adventure. Kayaking the Abel Tasman was a magical unification of exploration and nature. Also, be cognizant that New Zealand runs on “beach time.” A local’s idea of 1:30 p.m. may be 1:50 or even 2:30. Having flexibility during your road trip is key. Days 9-10 were push days, well, as much as you could push in an oversized Mercedes whose engine was sluggish during any uphill battle. 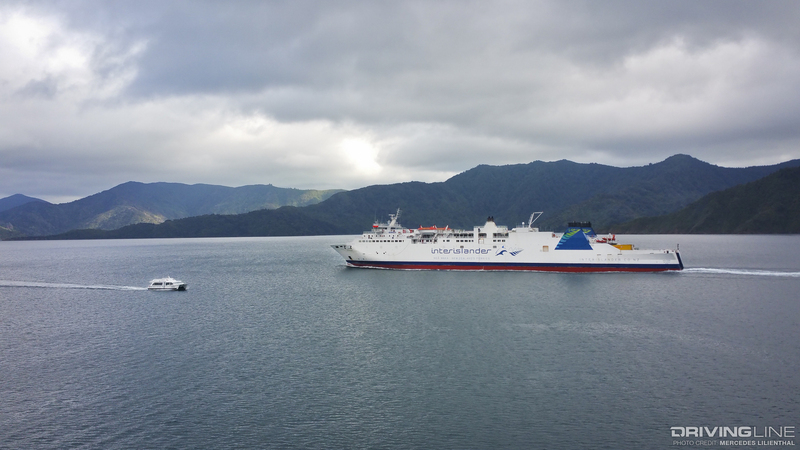 The clock was ticking for us to catch our ferry, which was set to leave Picton (a city on the northern end of the South Island) to Wellington (a major city on the southern end of the North Island) in a few days. We needed to bomb it back to Auckland to make our campervan drop-off deadline. 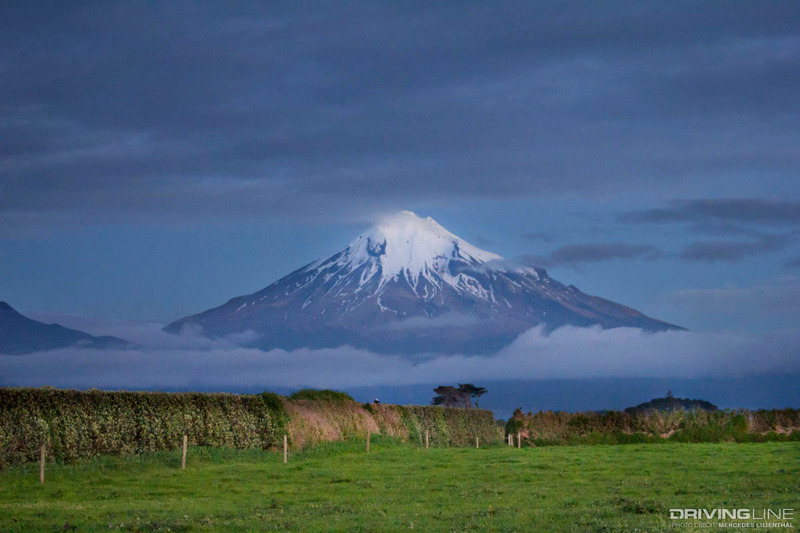 Our last day in our Sprinter van was spent with friends in Kaukapakapa, just north of Auckland. New Zealanders Caleb and Shae Thompson run Offroad Addiction TV, an international off-road show. They’ve traveled all around the world, including numerous trips to the U.S. and to Malaysia to cover the Rainforest Challenge. They took us to one of their favorite beaches via their 2012 Nissan Navara, knows as the Frontier in the U.S. This truck’s wheels were wrapped in 33x12.50R20 Nitto Mud Grappler extreme mud terrain tires. Caleb said the tires never had a puncture; they performed great on- and off-road and tackled whatever was thrown at them successfully. They appreciated their aggressive look and durability, too. Day 11 was our last day with the campervan. We drove from Kaukapakapa back to Auckland to drop the van off. A sad day indeed, but we learned a lot during our near-two weeks with the right-hand-drive Mercedes. We learned that one quick shower uses all the potable water. Andy drained every drop we had in Queenstown. Thank goodness we were at a Holiday park and could refill. Self-contained toilets can smell! While dumping your own doo-doo isn’t glamorous, it’s necessary. A few days in, we could smell rotting food but couldn’t find the source. Our fridge was in working order and no animal had died within our dwelling (that we knew of!). We discovered our cassette toilet reeked when almost full. Not a great #vanlife moment when all you want to do is pull over and vomit. Make sure you understand everything about your rental before you embark on your voyage. Since we had a stressful campervan pick-up, we didn’t have an opportunity to ask questions. We didn’t find the van’s manual until the last day of the trip. Things shift in campervans. No matter how well you stash your stuff or secure cabinets, things are bound to come loose and fly around. One of our sliding cabinet doors opened religiously around corners. Out came the cutting board and it flew across the floor, smashing against the opposing cabinet. Slam! We almost bought duct tape to secure it. People get sick. I got a really bad cold during our campervan excursion, and when I got better Andy got sick. Our van’s interior was spacious, but still small. Germs easily spread, no matter how well you keep things clean. Plus, get ready to be in each other’s way—a lot. Renting a campervan is a good lesson in marital communication! Van life isn’t necessarily all it’s cracked up to be. If you can manage living in close quarters with your mate, taking longer to get somewhere, and the stress of finding where your next camp night will be you’ll have a great time. We certainly did. We learned how to deal with the challenging campervan moments and celebrate its successes. There’s so much to see—especially outdoors—that having loose travel plans seems to work best. If you choose to travel via campervan, it helps to plan ahead. Think about the top five things you want to do in whatever area you are in and plan your drive trip around them. With a bit of careful planning and a flexible attitude, campervan travel can be an awesome and rewarding adventure. Want to know what it's like to live the van life stateside? It's not without difficulties, but the freedom can be incredibly enjoyable.